Politicians in the North Caucasus are increasingly calling on the government to step up efforts against the so-called Islamic State (IS) and take action against Russian citizens who support it. Meanwhile, the militants who became affiliated with the IS in the North Caucasus one year ago have not shown much activity since then (see EDM, September 10). The only two known attacks by IS affiliates in the North Caucasus have been the murder of the imam of a mosque in a Dagestani village (Kavkavsky Uzel, September 10; see EDM, September 17) and the shooting of a fortuneteller’s family, also in Dagestan (Kavkavsky Uzel, September 15). 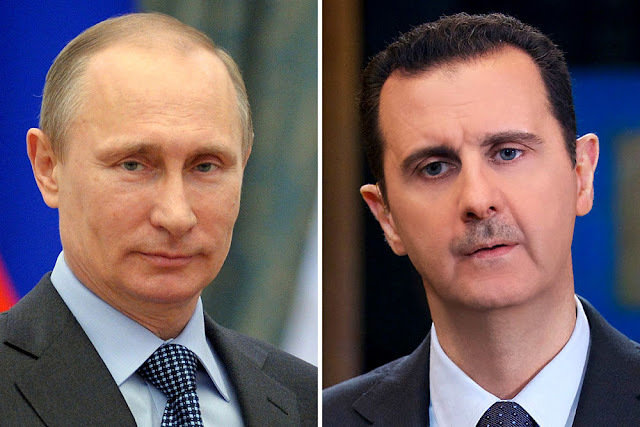 The wave of calls in Russia for the West to join forces with the Kremlin to fight the Islamic State have “unexpectedly” coincided with emerging evidence of Russian involvement in the Syrian conflict on the side of President Bashar al-Assad. Against the backdrop of rising public awareness about Russian involvement in Syria (Rosbalt.ru, September 8), the government launched another wave of propaganda against the IS. In Chechnya, for example, the republic’s head, Ramzan Kadyrov, met with those accused of having spread rumors about IS activities. The meeting was broadcast on the Chechen state TV channel. Chechen authorities found out about these suspects by wiretapping their telephones, Internet data, and instant message applications like Whatsapp, Viber, Skype and others. According to Kadyrov, “one of the [suspected] young men sought infirm, weak-minded peers and tried to persuade them to go to Syria. He sent around messages that contained threats to members of the authorities and their families” (Instagram.com, September 15). Kadyrov wanted to send the message that he controls everything in the republic and that no one is free to write, send or listen to news about the Islamic State. At the same time, Kadyrov called on all Muslim countries to join forces to fight the Islamic State, which he called the Iblis State (State of Satan). Kadyrov hinted that the United States was behind the IS: “I advise the masters of the IS to come to their senses, stop the games that are aimed at the destruction of the Muslim world. The Muslim world has not yet awakened. When it does, the masters of the Iblis State and all types of al-Qaedas [sic] will regret it” (Riafan.ru, September 15). Kadyrov seems to be convinced that the West created all Muslim terrorist organizations to destroy the Muslim world from within (Topwar.ru, September 15). This kind of talk aligns neatly with the official Russian ideological propaganda routinely imposed on the country’s population; Russian propaganda blames the West for everything happening in the Middle East. At the same time, Kadyrov did not forget to support President Vladimir Putin, who himself has been calling on the West to join forces against the radicals because they are a threat to all countries (Instagram.com, September 14; see EDM, September 17). Chechnya’s ruler stated that the government should legally cancel the Russian passports of those individuals who became terrorists and ban their reentry to Russia (RT, September 15). Kadyrov’s longtime foe, Ingushetia’s governor Yunus-Bek Yevkurov, unexpectedly came out in support of this initiative. According to Yevkurov, republican deputies in Ingushetia have drafted an appeal asking the federal authorities to adopt such legislation (Rg.ru, September 8). Yevkurov believes the threat of losing Russian citizenship will keep many young people from taking a hasty, fatal step. It should be noted, however, that those who travel to the Middle East to fight for the IS are rarely sentimental people or thrill seekers. Rather, they are ready to travel to the Middle East to die for their “caliph” and are quite dangerous in many respects. Russian federal authorities and the authorities in the North Caucasian republics should be concerned about those people returning from Syria who fought for the Islamic State, since fealty to this militant extremist organization is incredibly difficult to reverse. Kadyrov signaled that he is not only makings statements about fighting the Islamic State, but is also taking action. Chechnya’s governor convened a government meeting on the issue of countering the ideology of terrorism and extremism. Kadyrov’s aides for interaction with law enforcement agencies, Daniil Martynov and Yuri Torshin, Chechen Security Council Secretary Vakhit Usmaev, and commanders of the Ministry of Interior’s troops in Chechnya participated in the meeting (Instagram.com, September 15). Setting up special ethnic units in Chechnya and their ongoing training under the guidance of the former members of the Russian special forces’ Alpha Group (Aif.ru, May 21, 2014) can now be seen in a different light. These Chechen units could turn up in Syria to help prop up President al-Assad’s regime and also accompany Russian units that might be deployed to aid the embattled Syrian leader. Thus, the situation in Syria could replicate what happened last year in Ukraine, where Chechens fought on both sides of the frontline—some on the Ukrainian side and others on the side of the Russia-backed separatists. It is hard to explain otherwise why Moscow would invest its resources so heavily in training Kadyrov’s Chechen special forces, which constitute overkill for the needs of the republic itself (for more details on Kadyrov's elite units training with Jordanian special forces, see EDM, March 27, 2015). For the domestic audience, Russian propaganda has regularly played down the strength of the militants over the past 15 years, even when the insurgency threat was quite high. The message for the outside world has been quite different. At the start of the second Russian-Chechen war in 1999, Vladimir Putin managed to convince the Western political establishment that his country was not fighting separatism in the North Caucasus, but international terrorism, part of the global jihadist movement. Putin is now trying to ally with the West against terrorism once again. The question is whether the West will pretend for a second time that it trusts Russia, or whether, this time, it will recognize the position Russia is really taking by helping al-Assad’s embattled regime.